Located in Red Wing, Super 8 by Wyndham Red Wing is within a 5-minute drive of Aliveo Military Museum and Red Wing Shoe Store & Museum. 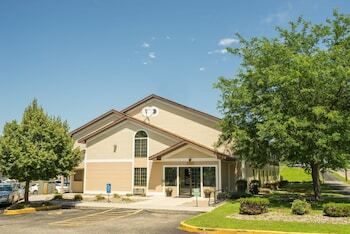 Featured amenities include a 24-hour front desk and laundry facilities. Free self parking is available onsite. Located in Red Wing, Rodeway Inn Red Wing is within a 5-minute drive of Aliveo Military Museum and Red Wing Shoe Store & Museum. Free self parking is available onsite.